Sunday's father is dying of cancer. 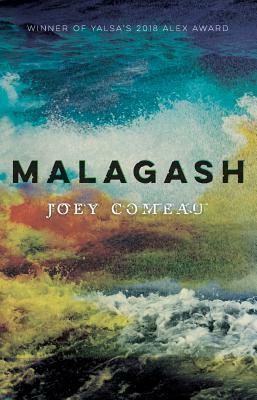 They ve come home to Malagash, on the north shore of Nova Scotia, so he can die where he grew up. Her mother and her brother are both devastated. But devastated isn t good enough. Devastated doesn t fix anything. Sunday has a plan. She's started recording everything her father says: his boring stories and his stupid jokes. Everything. She's recording every single I love you right alongside every Could we turn the heat up in here? It's all important. Because Sunday is writing a computer virus. A computer virus that will live secretly on the hard drives of millions of people, all over the world. A computer virus that will think her father's thoughts and say her father's words. She has thousands of lines of code to write. Cryptography to understand. Exploits to test. She doesn t have time to be sad.Her father is going to live forever. Joey Comeau is the author of four novels and the webcomic A Softer World. His work has been nominated for the ReLit and Shirley Jackson awards, has appeared in the Best American Non-Required Reading and the Guardian, has been profiled in Rolling Stone, and has recently been translated into French, Spanish, Turkish, and German. He lives in Halifax, Nova Scotia.